Participants included Dr. Dirk De Craemer, on behalf of Ghent University Rector; Mr. Christophe Goossens, VLIR-UOS Project Officer on Vietnam; Prof. Peter Bossier, Flemish coordinator; Assoc. Prof. Nguyen Van Toan, Hue University President, local coordinator together with project leaders and team members from both sides; leaders of affiliated colleges of Hue University. At the ceremony, Assoc. 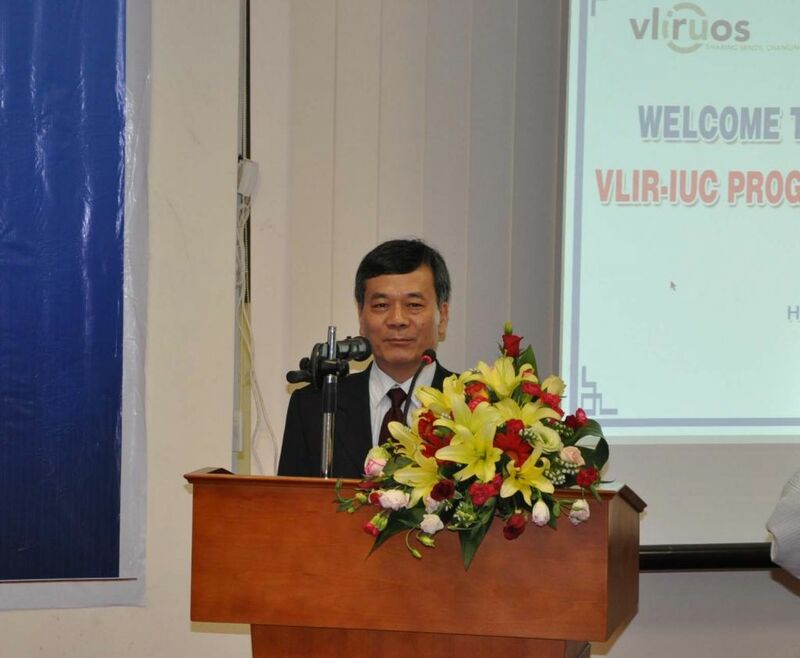 Prof. Nguyen Van Toan noted that the Institutional University Cooperation (IUC) Programme is one of the most important programmes sponsored by VLIR-OUS in the aim of completing three objectives including education, research and social services. VLIR-IUC Programme with Hue University is a twelve year programme including 2 phases (6 years for each) between Flemish universities, Belgium and Hue University, Vietnam. Total value of the Programme is EUR 2.1 million. The Programme includes 4 thematic projects: Strengthening capacities in university management and governance to support the multidisciplinary research-based education; Improving aquaculture, livestock and crop production in the central Vietnam; Preservation of the coastal ecosystems and natural resources under the effects of the development activities and climate change; Strengthening training and services at primary level to improve rural health care: a pilot intervention in central Vietnam. Among them, strengthening capacities is the core project of IUC Programme. 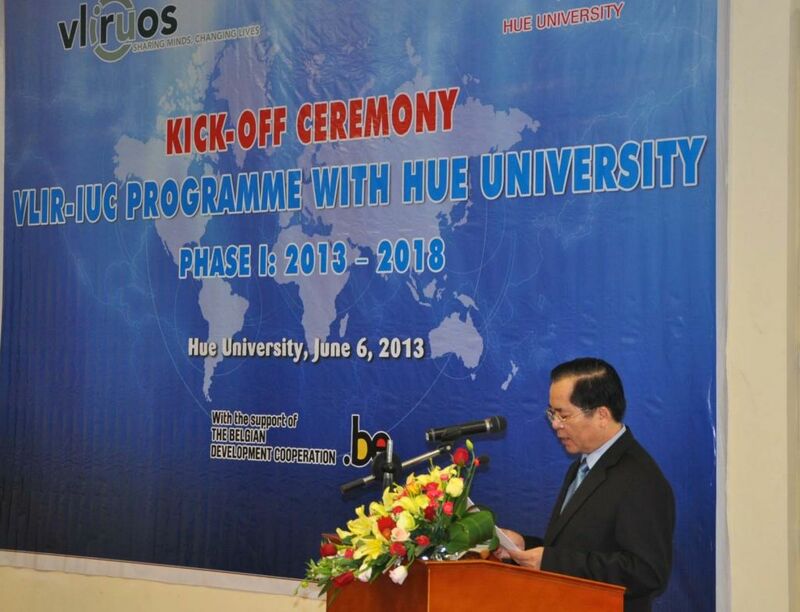 Hue University will focus on university governance, quality assurance and research-based education. The programme will closely be connected with different activities including PhD training, short courses and mid-term courses in relation with Flemish universities (Ghent University, Hasselt University, KU Leuven University. Other activities such as workshops, conferences, seminars will be conducted under the programme. The Belgium Ambassador H.E. Mr. Bruno Angelet said that he was convinced that this cooperation programme would bring not only academic outcomes, but more importantly it would have strong positive development impact for Vietnam in the long term. Assoc. Prof. Mai Ha, Director-General, International Cooperation Department, the Ministry of Science and Technology, also high valuated the cooperation between VLIR-OUS and Hue University. The Programme will be contributive to the human resources for Vietnam in the international integration progress.